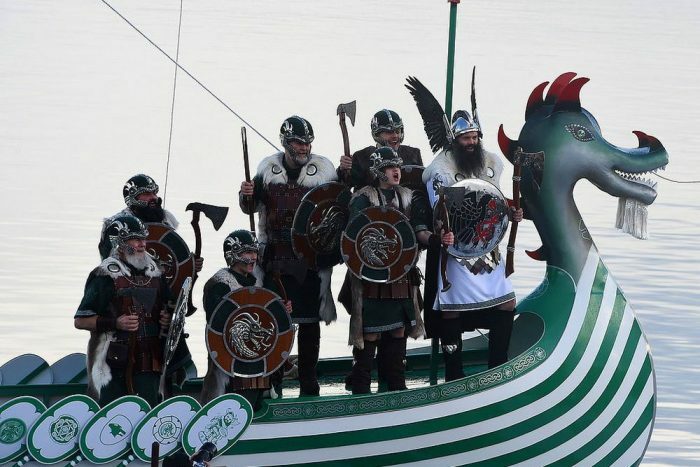 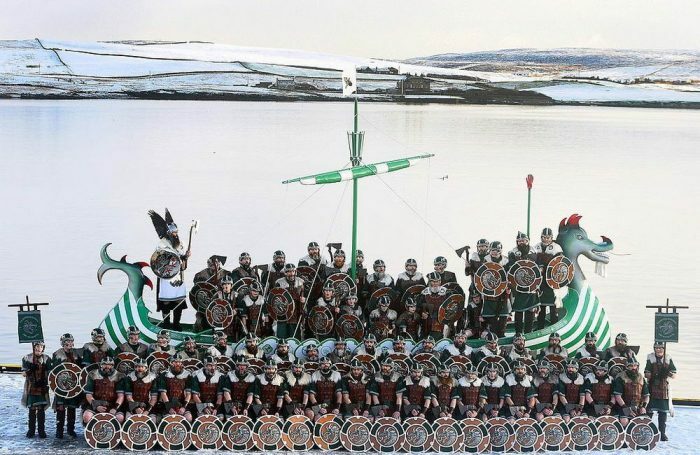 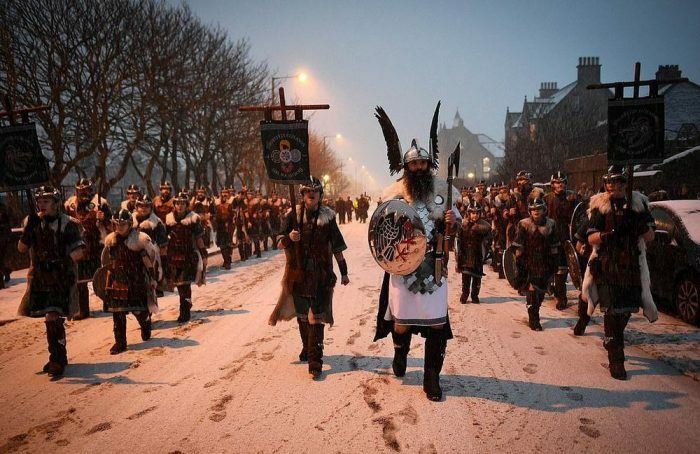 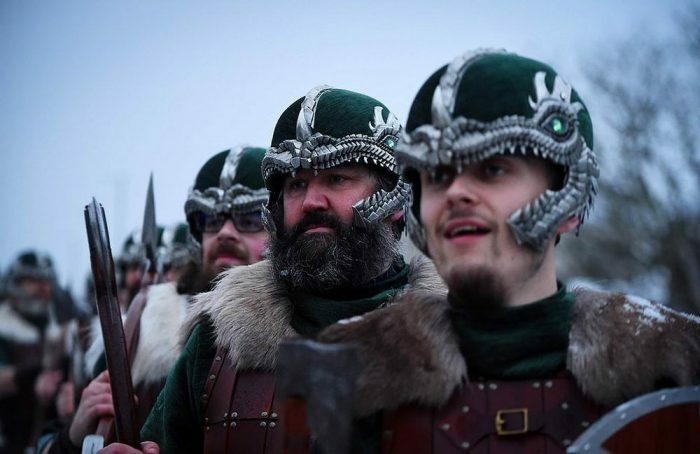 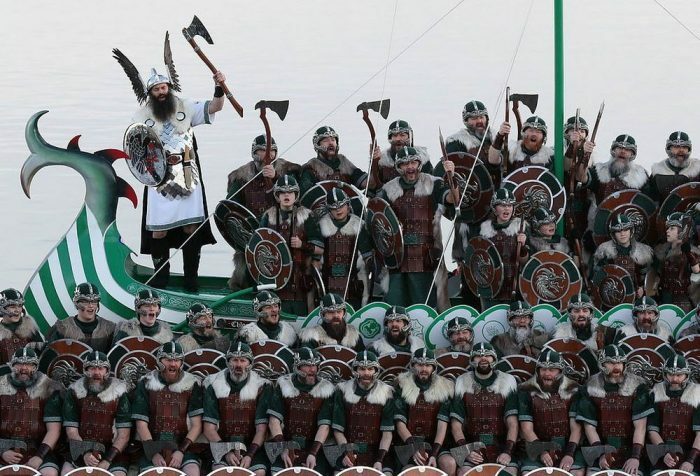 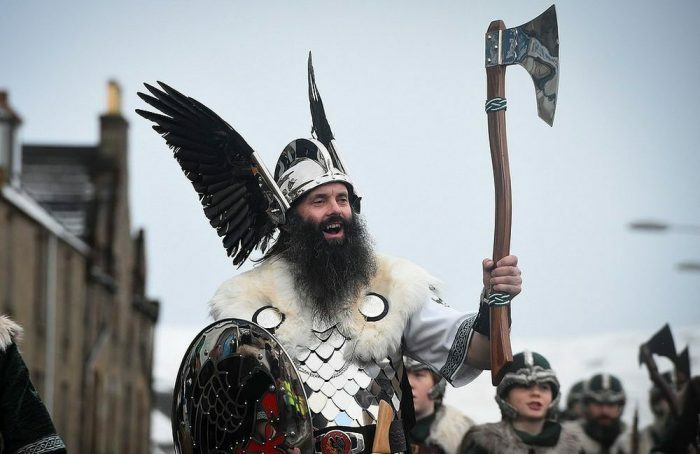 Thousands of people in Scandinavian attire gathered in Scotland for the world famous fire festival “Up Helly Aa”. 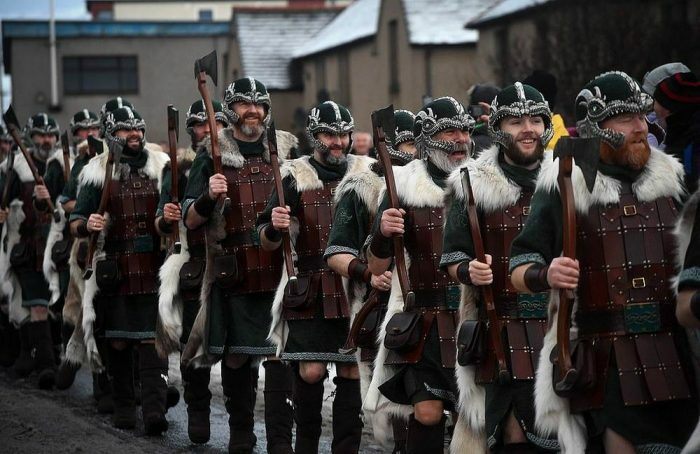 The event, which attracts visitors from all over the world, takes place in Lerwick on the last Tuesday of January of each year. 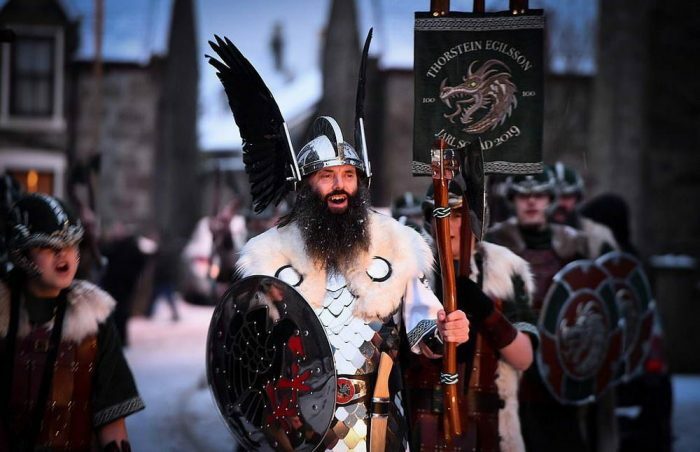 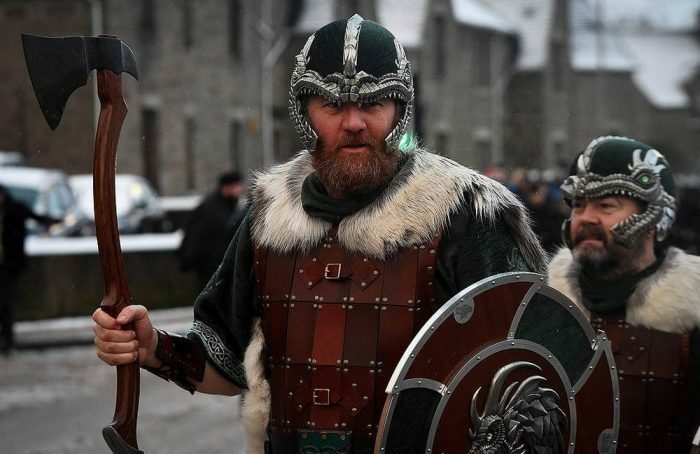 People dressed in Scandinavian attire walk through the city’s streets to recreate its in the traditions of ancient Viking past. 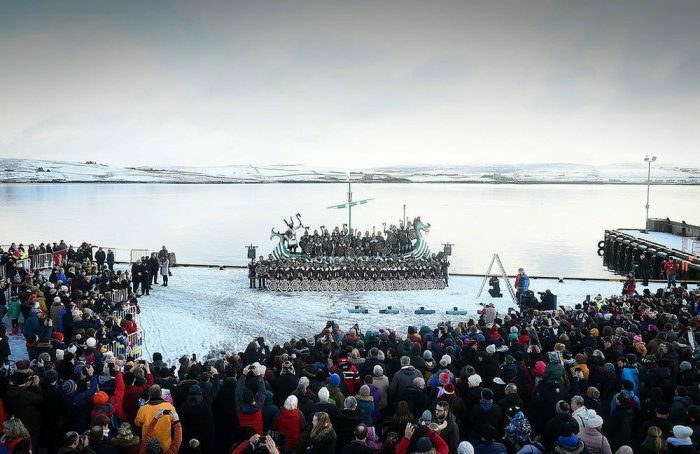 The festival ends with a torchlight procession and the burning of a handmade boat (drakkar) in the night ceremony.